Today I'm hosted over at http://www.theindieview.com/2017/04/15/indieview-with-jo-linsdell-author-of-gunpowder-kosmos-book-2/ for an interview. 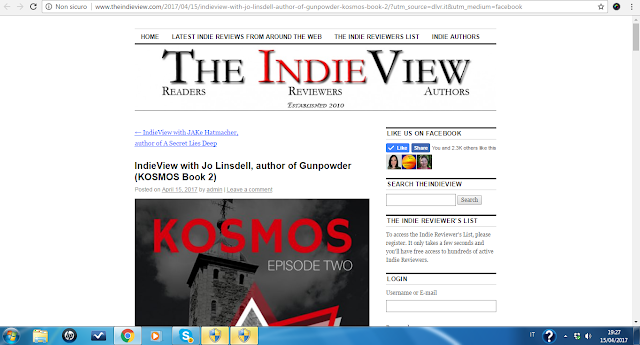 the Indie View had some great questions for me about the KOSMOS series, writing, publishing, and a bit about myself as well. 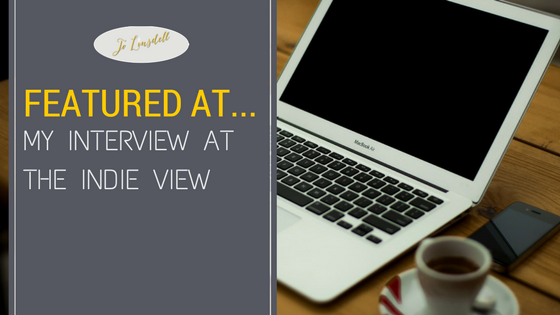 I hope you'll check it out and encourage you to leave a comment on the post and share it on social media too. 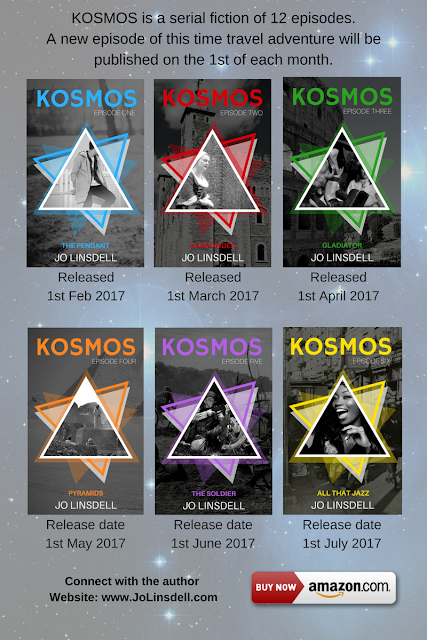 I also wanted to remind you all that you can grab a FREE copy of The Pendant (episode one in the KOSMOS series) today on Amazon at http://amzn.to/2oi3KNE.